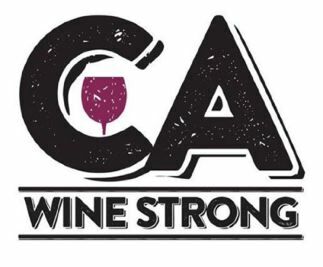 California Wine Strong Support the Napa, Sonoma and Mendocino fires relief at CA Wine Strong: https://www.youcaring.com/mendocinonapasonomacountyfirerelief-977973. 2018 World of Pinot Noir Tickets officially go on sale with early bird pricing Friday, October 20 for the 2018 World of Pinot Noir taking place March 2-3, 2018. The event will include 250 wineries from around the world. The annual celebration of Pinot Noir is held at the Bacara Resort in Santa Barbara, CA. Weekend Pass is $975 (not including lodging). The Friday Grand Tasting is $100 (VIP) or $75. The Saturday Grand Tasting is $137.50 (VIP) or $90. I find the Friday Grand Tasting much less crowded. For more information and tickets, visit www.worldofpinotnoir.com. 2017 Pinot Days Pinot Days San Francisco will be held November 11, 2017, 11:30 a.m.-1:00 p.m. (trade) 2:00-5:00 p.m. (consumer), at Bespoke at Westfield in San Francisco. Consumer tickets are $75. Participating wineries include August West, Banshee, Bernardus, Big Basin Vineyards, Brooks, Bucher, Calstar Cellars, Clos Pepe Estate, Davis Bynum, Donum, Duckhorn, Dutton Goldfield, Expression, Foursight Wines, Furthermore Wines, J Wines, Jigar Wines, J. Lohr Vineyards & Wines, Kanzler, Martinelli, Pali Wine Co. Sojourn Cellars, Square Peg, Stoller Family Estate, Three Sticks, and Trombetta. For tickets, visit www.pinotdays.com. Donald Louis Carano Recently Passed Donald Louis Carano was the founder of Ferrari-Carano Vineyards & Winery, Eldorado Resorts Inc., and McDonald, Carano & Wilson LLC law firm. He passed away on October 3, 2017, at his home in Reno, Nevada, at the age of 85. Carano was a second-generation Italian- American who fell in love with Sonoma County on visits to source California wines for their restaurants in Nevada. After taking classes in winemaking and crafting small lots of his own wines from his home ranch in Alexander Valley, he founded Ferrari-Carano Vineyards & Winery in 1981. Today, this winery owns 24 sustainably-farmed estate ranches comprising over 1,900 vineyard acres in six appellations of Northern California. In 2000, the Caranos acquired the Vintners Inn and John Ash & Co. restaurant. In 2008, they acquired Lazy Creek Vineyards in Anderson Valley. Mr. Carano is survived by his wife Rhonda, five children, 11 grandchildren and six great grandchildren. A video showing the Caranos telling their story: https:// www.youtube.com/watch?v=KPm0xs0fQSA. Santa Cruz Mountains Debuts Wine Trail Signage Any readers who have traveled the back roads of the Santa Cruz Mountains where a GPS is of no value in search of wineries will appreciate this change. The Santa Cruz Mountains Winegrowers (SCMWA) announced recently the approval of a new wine trail signage in the City of Saratoga. These signs are the first phase of a planned Santa Cruz Mountains Regional Wine Trail network to help visitors more easily locate wineries throughout the Santa Cruz Mountains AVA. For information, visit the SCMWA website at www.scmwa.com. 2016 Oregon Vineyard & Winery Census Report Pinot Noir accounts for 64% of all planted Oregon acreage and 57% of production. The northern Willamette Valley leads the state with 73% of total tons crushed in terms of bonded wineries. Total wineries increased from 702 to 725 in 2016 with 554 now in the Willamette Valley. Pinot Noir’s harvested acreage rose to 17,744 in 2016, a 14.4% increase. Case sales increased 10% to nearly 3.4 million helped by a 14% increase in national sales. Harvest 2017 in North Coast The 2017 growing season was a rollercoaster ride with heavy winter rains, record triple-digit Labor Day temperatures (112º in Healdsburg), muggy weather during harvest, and a fiery ending. Most wineries had harvested their fruit before the fires in Sonoma and Mendocino County had begun. 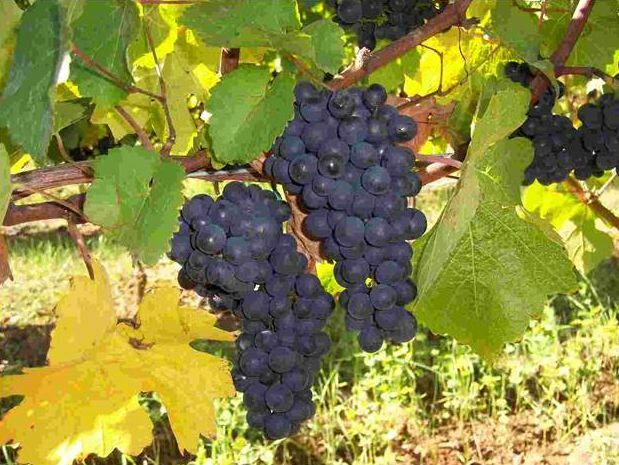 The persistent heat led vintners to speed up harvest because of the accelerated ripening. When grapevines are exposed to extreme heat, the stomates in the leaves close to prevent water loss through the leaves, respiration and photosynthesis shut down, and maturation is slowed. If the heat continues, the vine can abort the fruit in an effort to stay alive.Despite the challenging weather, the early expectations from sampling the wines in tank and barrel is reportedly optimistic. David Ramey’s Westside Road Winery Approved According to The Press Democrat, September 21, 2017, noted winemaker David Ramey has received approval from the Board of Zoning Adjustments to build a 60,000-case winery, wine cave and tasting room on Westside Road. However, he is expected to receive opposition by local residents who fear added traffic and visitors, and the Board of Supervisors may have the final word. David and his spouse Carla, bought the 75-acre former Westside Farms property five years ago. There are already 29 permitted wineries or tasting rooms in the Westside Road area, long considered the “Rodeo Drive” of Pinot Noir. Two other Westside Road proposals were rejected earlier this year and another small winery and tasting room has been proposed near Ramey’s property. Ramey founded Ramey Wine Cellars in 1996 and grew the winery from 260 cases to 40,000 cases annually.